Like many Pathology Departments across the country, UCLA Pathology is undergoing a leadership change. Dr. Jonathan Braun, who has been UCLA Pathology Chair since 1995, stepped down as Chair at the end of December in order to focus his energies on his research. A distinguished pathologist and mucosal immunologist, Dr. Braun’s research career has been devoted to inflammatory bowel disease (including the relationship of the intestinal microbiome and function to human genetic disease variation in IBD disease pathogenesis, penetrance, and phenotype), mucosal host-microbial interaction and the immune cell biology of chronic inflammatory disease and lymphoma. He will continue his research and lead the inflammatory bowel disease biobank at Cedars-Sinai Medical Center. UCLA Pathology experienced tremendous growth during Dr. Braun’s tenure as Chair, including a 20-fold growth in grant funding (now greater than $45 M), philanthropic donations including 5 endowed chairs and 2 endowed fellowships, and expansion of our education programs to more than 100 research and clinical trainees annually. UCLA Pathology has been a pioneer nationally in comprehensive subspecialty care delivery in Anatomic Pathology; telepathology and digital pathology clinical care and research; radiology-pathology partnership in medical diagnostics; institution-wide biobanking; an exome-based institutional Mendelian disease diagnostic center; and, immunogenetics and immune assessment for transplantation, immunologic diseases, and cancer. 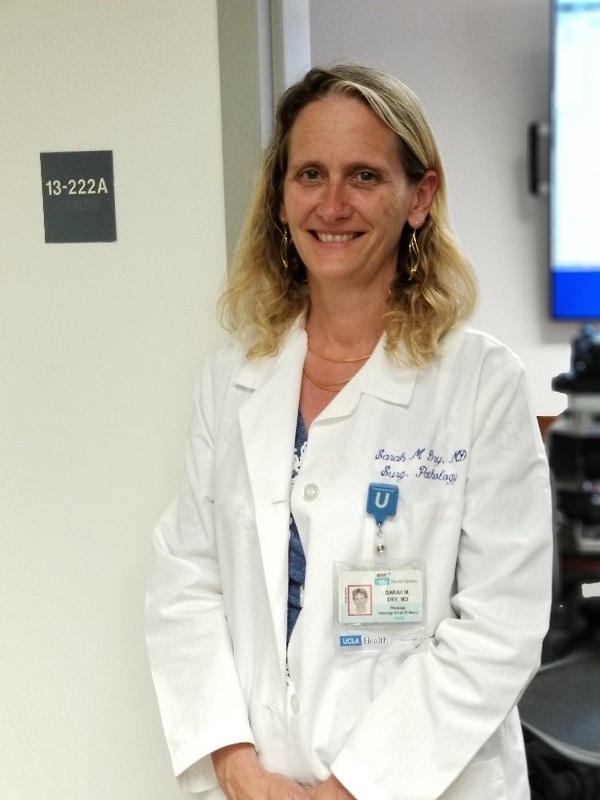 Dr. Braun has overseen the development of current UCLA faculty as leaders in molecular metabolism, genomic medicine, translational immunology, nanobiology, anatomical pathology and clinical pathology. I am honored to serve as Interim Chair and to work with all the remarkable, conscientious and innovative faculty, trainees and staff in Pathology. During this time of transition, we will continue to do what we do best – provide world-class clinical care to our UCLA patients, assist physicians/patients in making optimal health care decisions, explore innovative clinical care delivery, perform pioneering research and train the next generation of physicians, researchers and laboratory technicians. We will continue to provide care to patients locally as well as through our regional, national and international referral networks. We will continue to explore basic, translational and clinical research questions, advancing scientific and clinical care knowledge in the process. And, we will inspire future leaders to develop a career in Pathology. In our website, you will meet some of the remarkable people in our Department and learn about some of the innovative work we do on behalf of our patients, the greater scientific community and our UCLA community. We hope you’ll want to learn more about what we do, and consider joining our outstanding group of faculty, researchers, trainees and staff.